If you wish to redeem your auto loan and keep your car in a Chapter 7 bankruptcy you will have to pay the replacement value for your car, truck, boat or motorcycle. 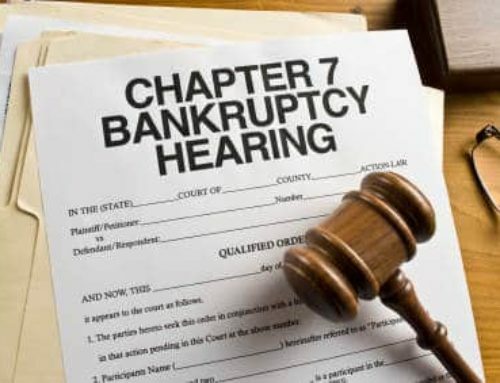 Redemption can only be done in a Chapter 7 bankruptcy, and officially you must offer replacement (retail value). However, private party or trade in values from NADA or KBB are often offered. Only personal property can be redeemed. Mobile homes not attached or affixed to the land can also be redeemed. In a Chapter 13 you may be able to “cram down” the auto loan, which is similar to a redemption. You can only “cram down” the car loan in a Chapter 13 if you purchased it more than 910 days ago, use it commercially, or in Kentucky, if the car loan was refinanced. Surrender your car, and owe nothing. This is the clear choice if the car is a lemon. 2. Reaffirm your car with the bank, through the court, and continue to pay the bank the same payments. This option is only available if you owe less than the auto is worth. You owe less than the wholesale price of the car. The interest rate is good. You are on good terms with the lender. If you are on poor terms with the lender they may reaffirm and still repossess the car after your bankruptcy is over, suing you for the deficiency. Alternatively, you can sometimes redeem your car and buy it from the bank by filing a motion with the court under Chapter 7 for it’s replacement value. This option is only available of you owe more than the car is worth. Bottom line: if you are paying too much for your car you should file a redemption or surrender it. A company named 722 redemption will often finance it if you don’t have the cash to do the redemption. 722 Redemption saves the average customer $8,000. (Call 722 Redemption at: 1-888-721-2800). Personal property like cars, boats and mobile homes can be kept for replacement value.